Brian Bordainick remembers when he snapped. He was in the process of building what is now a $16 million trendy data-driven dining startup called Dinner Lab. Many would have loved to trade spots with him. Things were happening fast. But he wasn't able to focus in conversations. He was often overcome with an odd, out-of-reality sensation where he would watch people’s mouths move, but couldn’t concentrate on their words. In retrospect, it makes sense: In less than two years, he had gone from running a grassroots startup out of his basement apartment in New Orleans to being the boss of a rapidly growing venture-backed company with national reach. 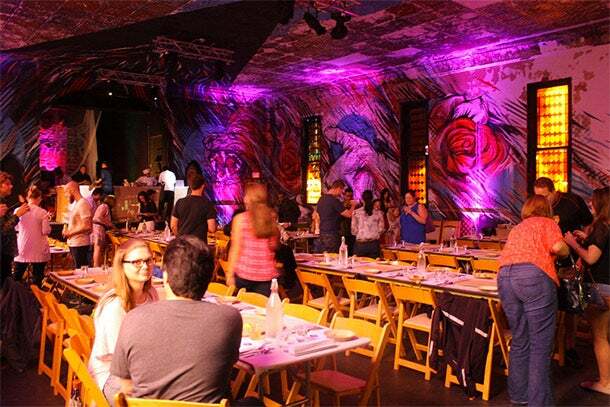 In June, Dinner Lab received a $2.1 million investment from John Elstrott, Chairman of the Board of Whole Foods Market. As many founders know, when your company grows that fast, your life changes just as quickly. One of the toughest lessons Bordainick learned along the way was how to take care of himself. A Dinner Lab in progress. Before he was devoted to building Dinner Lab full time, Bordainick worked at 4.0 Schools, an education technology nonprofit. Juggling the two was grueling. One day last September, he flew to New Orleans for a ground-breaking ceremony tied to his work with 4.0 Schools. That same night, he flew back to New York to celebrate Dinner Lab's launch in the New York City market. It was a momentous day for him, and on both legs of his day, he received tremendous amounts of praise and attention. He hardly noticed the accomplishments. He was locked in go-mode. “I passed it along like any other day. I was like, ‘Yeah, whatever, guys. Let’s move onto the next market,’” he says. Bordainick launched the first iteration of Dinner Lab in August 2012 from his basement apartment in New Orleans as a late-night dining option for his friends. Most restaurants in the Big Easy close down on the early side. Bordainick envisioned running pop-up dinners at midnight in New Orleans and eventually turning that concept into a brick and mortar restaurant, down the line. The idea was unsustainable. Not only did guests arrive painfully inebriated, but running an operation that serves dinner at midnight proved exhausting. He pivoted early. His model today involves a rotating cast of up-and-coming chefs serving pop-up meals in underutilized spaces in cities across the country. The dinners – which have been held in venues such as helipads and abandoned churches – are never held in the same place twice. Diners are only alerted to the location the day before the event. Communication is central to the Dinner Lab model. Participants are asked to provide feedback on every course. The membership-only experience depends on users giving extensive feedback on each food and wine pairing presented. Members pay anywhere from $100 to $200 per person per year to have access to the events and then from between $50 to $95 per dinner event (including drinks, tax and gratuity), depending on the city. Chefs use the feedback from diners to make decisions about future meals. Dinner Lab is currently auditioning chefs for its first ever brick and mortar restaurant, which is expected to open in the second quarter of next year. For a period, Bordainick was hiring a new employee every five days to keep up with his company's rapid growth. 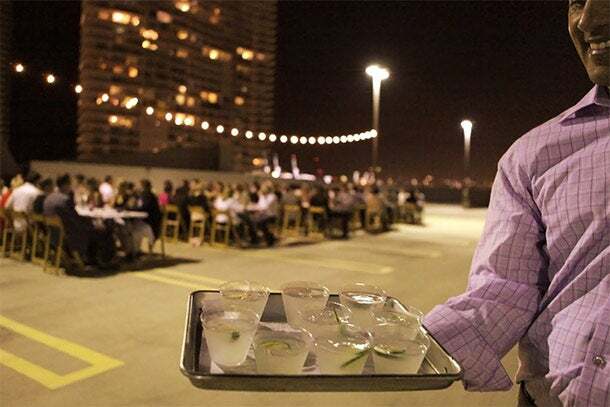 The company currently has 56 full-time employees and then another 20 part-time servers and bartenders in each of the 19 U.S. cities it operates in. In the busiest cities -- which are New York City, Austin, Nashville and New Orleans -- Dinner Lab hosts as many as 150 dinners a year. Managing Dinner Lab was a crash course in entrepreneurship for Bordainick, and one of his first observations was that he really didn’t like his peers. Fellow entrepreneurs, he said, often paint a rosy picture that’s both pie in the sky and hard to compete with. Talking to other entrepreneurs when Dinner Lab was in the throes of growing pains was challenging, but then so was talking to even some of his family and friends. Naturally, people were intensely curious about the hot -- and growing hotter -- business he was building. “Everyone wants to talk about things all the time, and you are stressed out. And that is a really hard place to be as an entrepreneur. It’s a really lonely place to be." 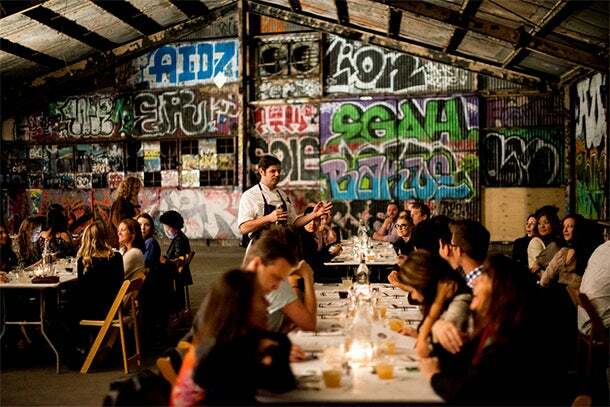 Dinner Lab meals are served in underutilized spaces. Learning how to manage his external relationships was one thing. But the other piece of finding psychological equilibrium was learning how to be in a healthy relationship with himself. Having always prided himself on being able to "do more than other people could do," Bordainick reached a point where he couldn't keep up. He decided to work with a CEO coach, a move that the three-years-ago version of himself would have mocked. The coach encouraged him to write and reflect on what he had already accomplished -- in addition to where he wanted to go. The experience gave him new perspective that has stuck with him as he's continued to build his business. “Being an entrepreneur is like climbing a mountain, right. You are always looking up, and when you hit a peak, you want to climb the next one. But every now and then, you have to look back and say, wow, we are really far off the ground. You can’t look back for too long because someone will step on your head and go past you. But that balance of celebrating past successes and setting up systems where you are holding yourself accountable to just be in a moment, be really present,” says Bordainick.